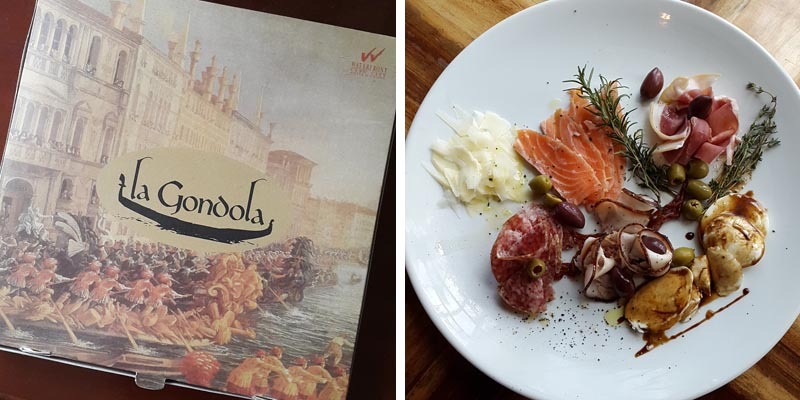 Last week, I was invited for luncheon at La Gondola restaurant at Waterfront Cebu City Hotel and Casino to sample their latest pizza offerings. 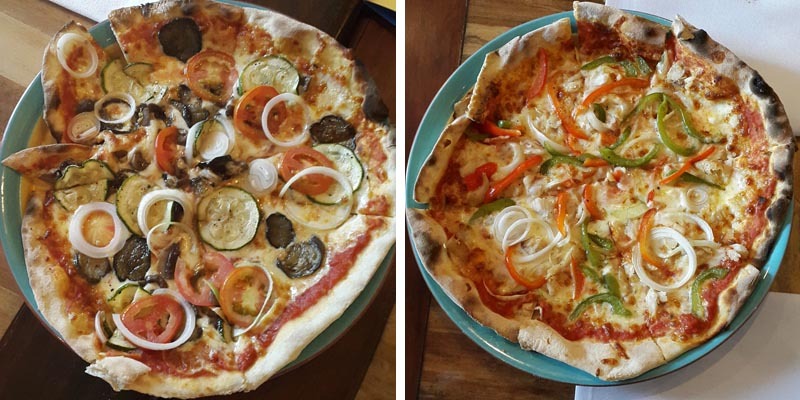 Catering to the local Cebuano palate, they launched 5 unique Cebu-style pizza flavours namely Adobong Squid, Chorizo, Grilled vegetable, Smoked fish and Lechon. The restaurant reminded me of the quaint little pizzerias in Venice. 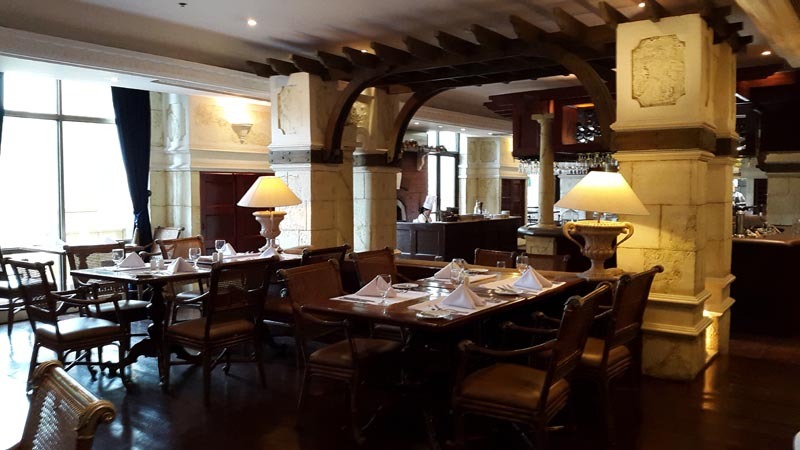 With its chic interior and charming ambiance, they've tried to design the place like you're dining around the corner from the Grand Canal. We started with a meat and fish platter, which was not only aesthetically pleasing but tasted scrumptious as well. Seafood lovers will delight in the Adobong Squid pizza. Marinated in vinegar, soy sauce and garlic, the squid is cooked to achieve the traditional adobo flavour we all know and love. Nothing screams Filipino breakfast like chorizo and eggs. 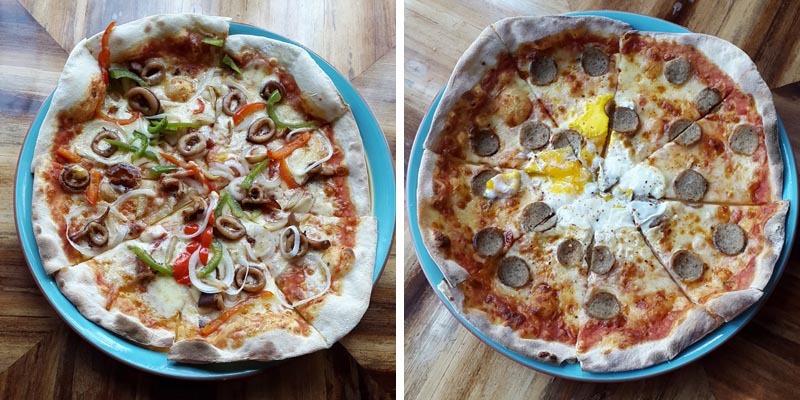 The Chorizo pizza is packed with proteins as well as the delicious flavours of this popular Filipino breakfast combo. For those who prefer greens in their pizza, the Grilled Vegetable dish is perfect for you. Topped with courgettes, tomatoes, mushrooms and onions, this pizza is a beautiful medley of fresh garden vegetables. Another seafood-topped flavour, the smoked fish pizza is served with tasty fillet flakes. This is actually my favourite of the bunch as the smoked fish flavour complements the cheesy tomato base. The main ingredient of their 5th pizza flavour is Lechon, which is what Cebu is famous for. Savour pieces of lechon (roasted pork) as you bite into this pizza dish. 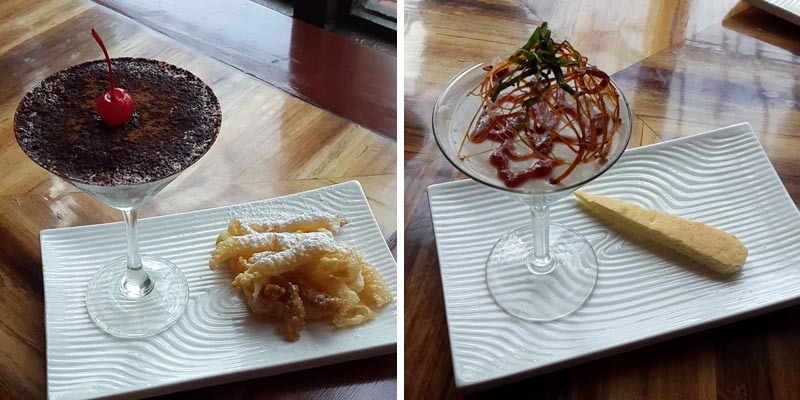 Not only were the mains delectable, their side dishes didn't disappoint either. 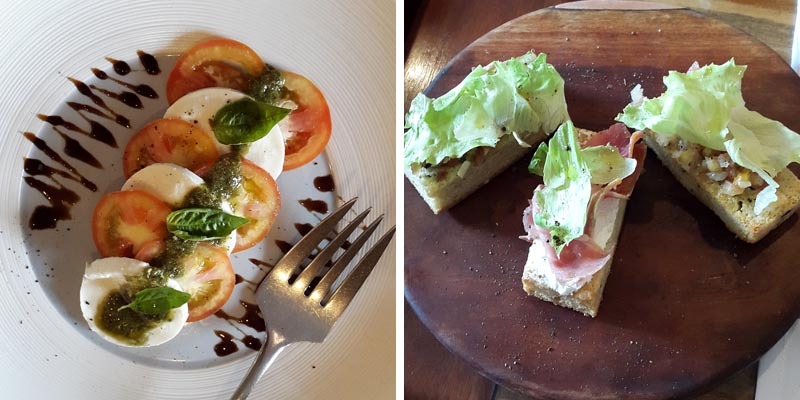 The bruschetta, and mozzarella and tomato salad were the perfect accompaniment to the meal. To cap off the lunch, we were served Zabaglione, a light custard Italian dessert and Tiramisu with crostoli, the food of the angels. Flavoured with citrus rind and grappa, and sprinkled with icing sugar, crostoli are light ribbons of fried pastry and a must for every Italian gathering. I thought their new flavours were very interesting. Numerous other pizza outlets may have recently opened around the city but it's refreshing to be able to have alternative choices other than the usual pepperoni, hawaiian and margherita pizza.